Today Fieldbrook Foods clarified its recall, stating that the voluntary recall also includes 28,751 cases of Raspberry Cream Bars that were included with its orange cream bars in ALDI seasonal split-case purchases. These cases were shipped between March and August 2017. 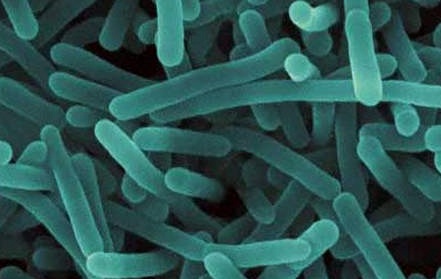 Yesterday Fieldbrook Foods Corp. issued a voluntary recall due to concerns that two of its products may have ben contaminated with Listeria monocytogenes. 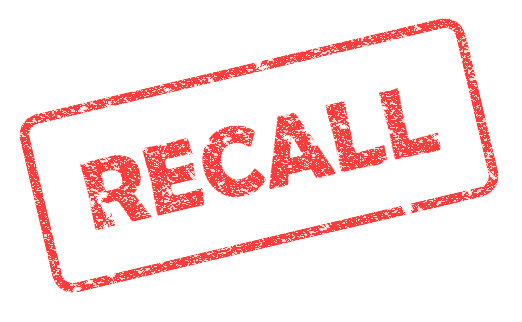 The recall is concerning the company’s orange cream bars and chocolate-coated vanilla ice cream bars that were produced last year at Fieldbrook Foods’ Hoyer 1 Line plant in Dunkirk, NY with a “best buy” date of January 1, 2018–December 31, 2018. The FDA’s website lists 21 merchants that sold the bars, including Acme, ALDI, BJ’s, Giant, Kroger and Price Chopper. Thus far, no illnesses connected to this issue have been reported. The previous article discussed the various decontamination options available to eliminate Listeria. It was explained why the physical properties of gaseous chlorine dioxide make it so effective. This article focuses on one company’s use of chlorine dioxide gas decontamination for both contamination response and for preventive control. The summer of 2015 saw multiple ice cream manufacturers affected by Listeria monocytogenes. The ice cream facility detailed in this article never had a supply outage, but ceased production for a short amount of time in order to investigate and correct their contamination. After a plant-wide review of procedures, workflows, equipment design and product testing, multiple corrective actions were put into place to eliminate Listeria from the facility and help prevent it from returning. One such corrective action was to decontaminate the production area and cold storage rooms using chlorine dioxide gas. This process took place after the rest of the corrective actions, so as to decontaminate the entire facility immediately before production was set to resume. The initial decontamination was in response to the Listeria monocytogenes found at various locations throughout the facility. A food safety investigation and microbiological review took place to find the source of the contamination within the facility in order to create a corrective action plan in place. Listeria was found in a number of locations including the dairy brick flooring that ran throughout the production area. A decision was made to replace the flooring, among other equipment upgrades and procedural changes in order to provide a safer food manufacturing environment once production resumed. Once the lengthy repair and upgrade list was completed, the chlorine dioxide gas decontamination was initiated. The facility in question was approximately 620,000 cubic feet in volume, spanning multiple rooms as well as a tank alley located on a different floor. The timeline to complete the decontamination was 2.5 days. The first half-day consisted of safety training, a plant orientation tour, a meeting with plant supervisors, and the unpacking of equipment. The second day involved the setup of all equipment, which included chlorine dioxide gas generators, air distribution blowers, and a chlorine dioxide gas concentration monitor. Gas injection tubing was run from the chlorine dioxide gas generators throughout the facility to approximately 30 locations within the production area. The injection points were selected to aid its natural gaseous distribution by placing them apart from one another. Gas sample tubing was run to various points throughout the facility in locations away from the injection locations to sample gas concentrations furthest away from injection points where concentrations would be higher. Sample locations were also placed in locations known to be positive for Listeria monocytogenes to provide a more complete record of treatment for those locations. In total, 14 sample locations were selected between plant supervisors and the decontamination team. Throughout the entire decontamination, the gas concentration monitor would be used to continuously pull samples from those locations to monitor the concentration of chlorine dioxide gas and ensure that the proper dosage is reached. As a final means of process control, 61 biological indicators were brought to validate that the decontamination process was effective at achieving a 6-log sporicidal reduction. 60 would be placed at various challenging locations within the facility, while one would be randomly selected to act as a positive control that would not be exposed to chlorine dioxide gas. Biological indicators provide a reliable method to validate decontamination, as they are produced in a laboratory to be highly consistent and contain more than a million bacterial spores impregnated on a paper substrate and wrapped in a Tyvek pouch. Bacterial spores are considered to be the hardest microorganism to kill, so validating that the process was able to kill all million spores on the biological indicator in effect also proves the process was able to eliminate Listeria from surfaces. The biological indicators were placed at locations known to be positive for Listeria, as well as other hard-to-reach locations such as the interior of production equipment, underneath equipment and inside some piping systems. In order to prepare the facility for decontamination, all doors, air handling systems, and penetrations into the space were sealed off to keep the gas within the production area. After a safety sweep for personnel, the decontamination was performed to eliminate Listeria from all locations within the production area. Click page 2 to continue reading. Two lots of Blue Bunny Hoppin’ Holidoodle ice cream recalled by Wells Enterprises, Inc. Similar to the Blue Bell recall, the other two recalls involving cookie dough came from the ingredient supplied by Aspen Hills, Inc.